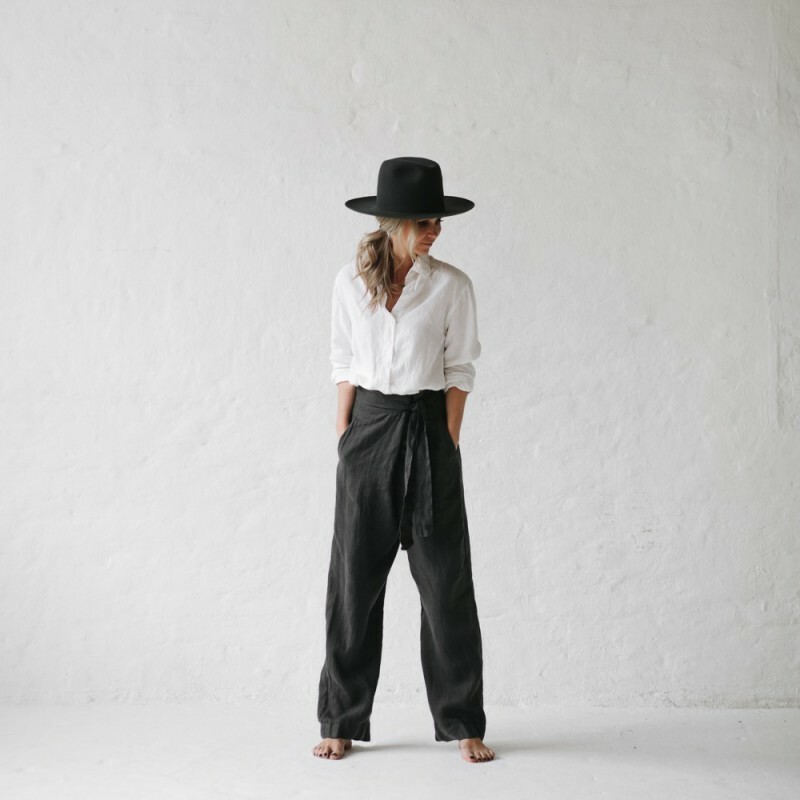 You can’t get much comfier than 100% soft baltic linen wrap pants. 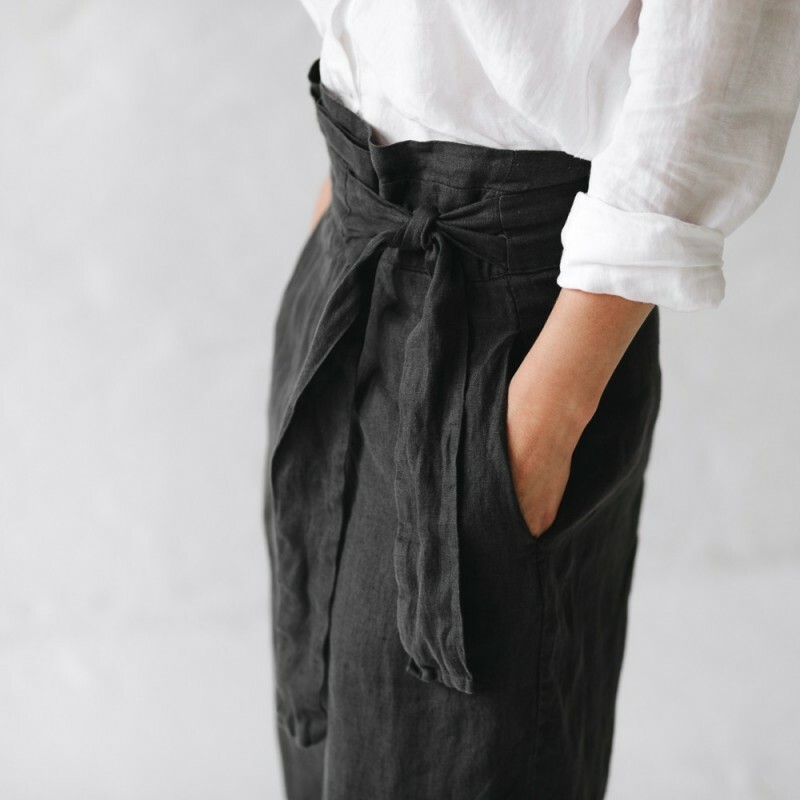 These stone grey trousers with pockets (hooray!) 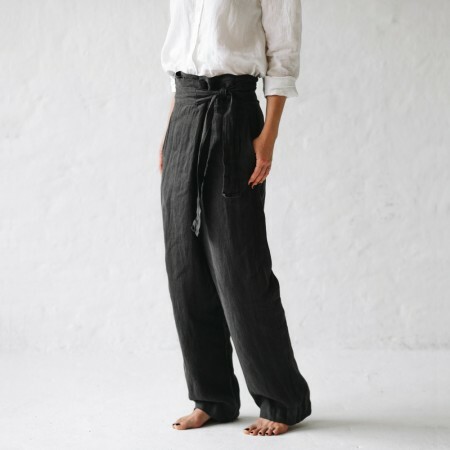 can easily be rolled at the hem for a more casual option, and look best with a crisp white shirt tucked into them. Wear them, wrap them, wrinkle them, they will continue to soften and age beautifully with every wash.
Buying this product = 179 Reward points for Members. Your cart will total 179 points = voucher of $8.95. Not a Member? Join at checkout to claim these points. 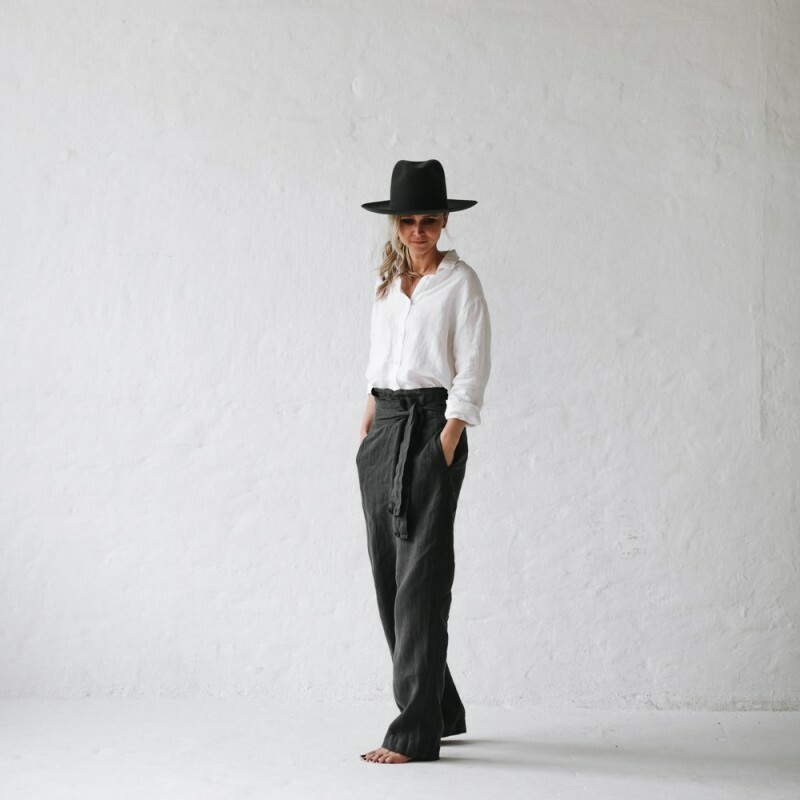 Seaside Tones is a Polish fashion label that specializes in minimalist garments made from locally grown and produced linen. 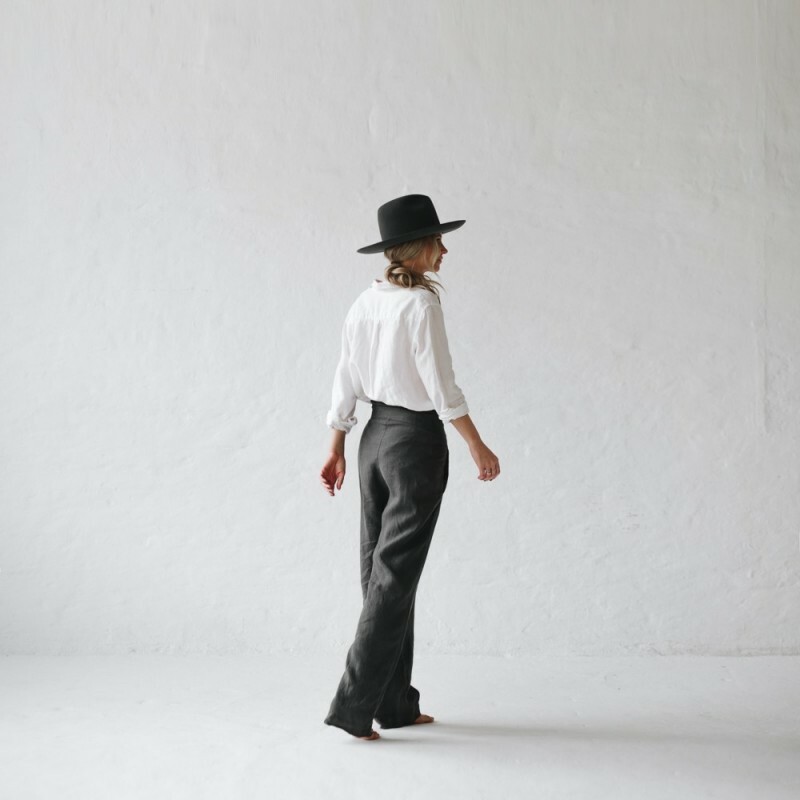 Each garment is also ethically and consciously made in Poland. 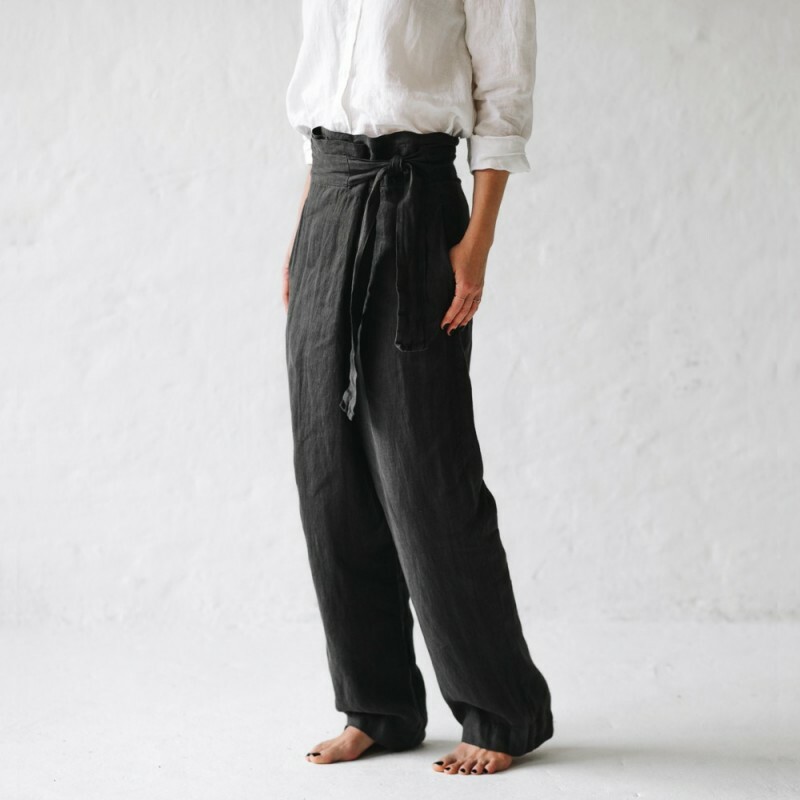 One size fits most - easily adjusted depending on how you tie it. Model featured is 164 cm / 65 " tall. Link to related key category.